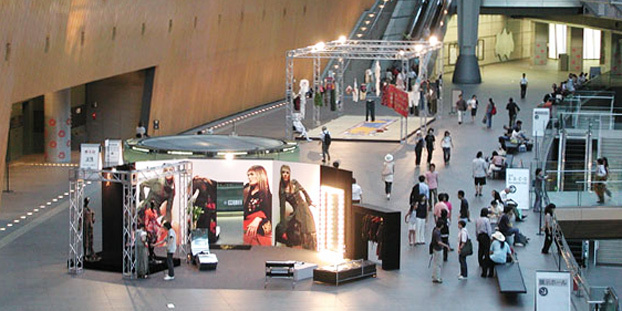 We set up Nukegara-Dojo in a large space called glass hall in the Tokyo International Forum. In the first booth, he showed his memorable fabrics from his journey of the Silk Road and his past pieces of work along with a questionnaire. 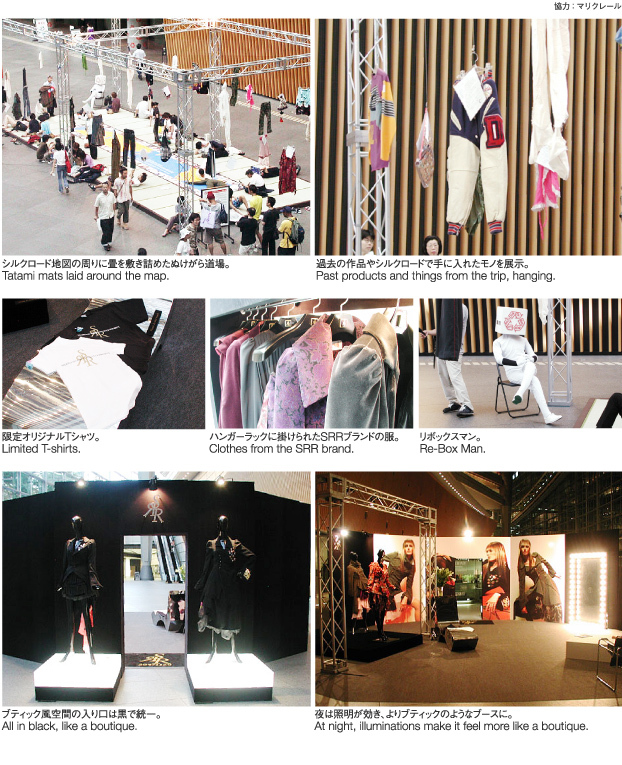 We also had“The limited-Silk Road-Remix-Recycle Collection” along with an imaginary boutique of hi-fashion in the second booth.